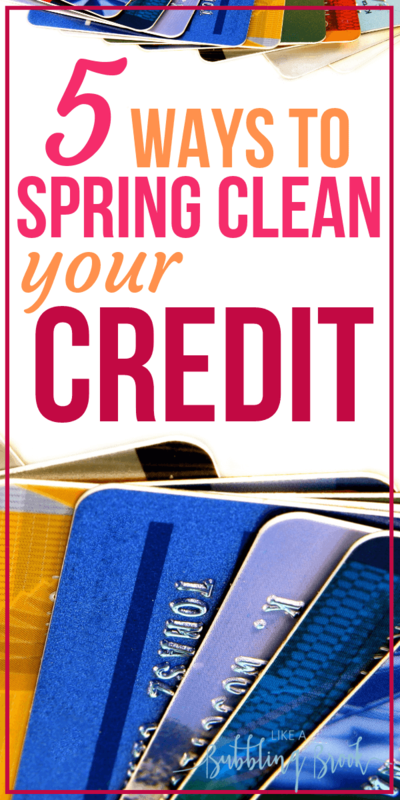 While you’re busy spring cleaning your home, this is a great time to also consider how to clean up your credit. This article is geared more towards people who don’t closely monitor their finances and want to get a better grasp on their spending habits, but anyone can apply these tips. Honestly, we’re huge Dave Ramsey fans in our family, and I know Dave says you don’t need a credit score if you’re doing everything cash or working with local banks who do private mortgages. Sometimes, though, (and for various reasons) you might find yourself wondering if you should focus a bit of attention on how to clean up your credit anyway. One thing I found particularly useful was simply being more organized and intentional. When my receipts — and my life! — is in disarray, it shows up in ALL areas of my life. My spending spirals out of control, I get frustrated, and before I know it I’ve dug a hole. It’s a real challenge to climb back out of that hole! Because of that, I don’t recommend trying to clean up your credit until you’ve gotten a grasp on your spending and are forming new spending habits. Here are a few things we’ve learned as we’ve navigated our debt free journey. 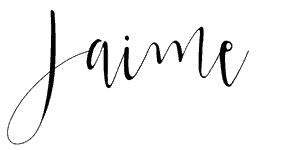 We all have bills coming in that need to be paid, papers for our mortgages or rental payments, and receipts for things we’ve bought and we need to keep them organized. The best way to do this is with a filing system that you will actually use. That’s why in this article I’m not going to recommend one system over another. Maybe having a physical folder in your desk is the best for you or maybe you want to take photos and store them all digitally. Find the method you’re more likely to keep up with and do that. Personally, I use multiple folders and organize them by year and major categories. Next you should create a budget. First, you should learn to budget the old fashioned way, using a paper and pencil. My printable Budget Binder Toolkit is perfect for getting started on a budget. Then, once you’re used to my printable toolkit and have a grasp on your spending, you can begin using a tool like Mvelopes or Every Dollar. Both of these apps operate on the premise of giving “every dollar a name” so you’re less likely to spend more than you can afford. I strongly urge you to begin with a paper and pencil budget, though! I’ve found people have better long term results this way. Once you have your budget planned, it’s time to take a look at all of your debts. Make a list of everything you owe, each credit card individually, along with how much your minimum payment is each month and how much interest you’re paying on that debt. Now arrange those debts from the smallest to the largest. If you have two debts of the same size, list the one with the bigger interest rate before the one with the smallest. While still making the minimum payments for everything, try paying a little bit more off the smallest debt each month. This will help you clear your debt faster and make you feel good when you’ve cleared it. This is a great time to check your credit if you haven’t in a while. Check for anything that shouldn’t be there. If you have negative items or errors in your credit report you might want to work with the experts at CreditRepair.com. After signing up with them online, they’ll take a look at your credit report and challenge anything negative on your report. If the creditors can’t prove the items are accurate, fair, and substantiated then they are required by law to remove them, often within 30 or 60 days, which improves your credit score fast. You can cancel your membership with CreditRepair.com after that. Banks are always changing what they offer as they try to entice new customers to switch their services to their bank. There’s no reason why you shouldn’t change your bank from time to time to take advantage of that better deal! One such bank that’s been in the news lately is CIT Bank, which was named NerdWallet’s Best Savings Account in 2018 and Bankrate’s Best Saving Account Rates. They have a variety of savings accounts to fit every need, and their interest rates on their savings accounts are always top-tier. Plus, you only need $100 to open an account with them. Click here to read more about CIT Bank savings accounts. Related: Where should I keep my emergency savings? There are a lot of different ways to build credit, but perhaps the easiest is having a credit card. Capital Bank’s OpenSky Secured Visa Credit Card won’t look at your past credit when you apply and it has a built in tool to help you build credit. They report to the three major credit bureaus every month, meaning you’ll start seeing results fast. I’m not a huge fan of credit cards, but if you need to focus on how to clean up your credit for awhile, a secured credit card is the way to go. You don’t want to risk going into more unsecured credit card debt after you’ve worked so hard to change your spending habits! You can read more about Capital Bank’s secured credit card here. What are some other ways you’ve been able to take control of your spending habits and clean up your financial life? Personal Capital: Personal Capital is much more detailed than Mvelopes, and is more centered on helping you with your investing rather than your budgeting. You can track your net worth, cash flow, investments, retirement planning, and more. Personal Capital pretty much picks up where Mvelopes and Every Dollar leaves off. They even offer a free version of their services. Check them out here.